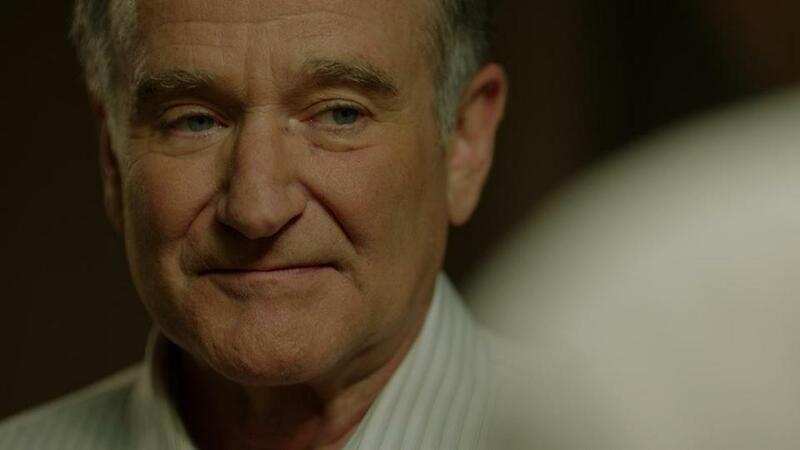 Slightly more than a year before he took his own life in August 2014, Robin Williams reported to a Nashville movie set to play a closeted gay husband battling, among other things, severe depression and a lifetime of self-deceit. In retrospect, Williams’s Nolan Mack may be seen by some as a sad harbinger of what lay ahead. Nolan — a shy, almost painfully withdrawn banker — is the principal character in “Boulevard,” opening in the Boston area on Friday. From all accounts, the low-budget drama was a labor of love for the actor, known to champion chancy indies, like “One Hour Photo” and “The Night Listener.” Williams suggested key changes to the script, originally set in Los Angeles and titled “Santa Monica Boulevard.” He also approved the casting and the final edit. He fought for Nolan’s intense coming-out scene (to an ailing father). It was cut, then, at Williams’s insistence, restored. “Boulevard,” promoted as Williams’s “final dramatic performance,” costars Kathy Baker as Nolan’s wife and Bob Odenkirk as his best friend. Newcomer Roberto Aguire, 27, plays a runaway-prostitute who sparks long-suppressed urges. Fittingly, the film is “more about letting go than coming out,” said director Dito Montiel, whose “A Guide to Recognizing Your Saints” (2006) caught Williams’s attention. Baker and Aguire chalked up the weight loss to his near-compulsive bike riding. “I was nervous about meeting [Robin],” admitted Baker, whose credits include “Edward Scissorhands” and “Saving Mr. Banks.” “I was afraid it was going to be the funny, always ‘on’ Robin, and that he was going to be a distraction. . . . And here was this quiet . . . respectful . . . almost fragile man. Seven months after principal photography had wrapped, Baker bumped into Williams again. They were in Vancouver — he was doing “Night at the Museum 3,” she was doing “The Age of Adaline.” They had dinner. He was quiet, but, as always, solicitous of fans who asked for photos or autographs. They talked about work, their families. Again, there were no signs of depression, which made what happened that much harder to fathom. If Williams had confided in her when they met in Vancouver, talked about his debilitating depression, what would she have told him? Glenn Lovell can be reached at glovell@aol.com.